More efficient use of human resources. Lower dimensional tolerances that substantially improve the end product and reduce production costs. LMF3 automatic line for axles for high-speed trains, assuring the high precision and quality required by these components. A turnkey line for the production and inspection of 15,000 axles per annum. A highly advanced solution in terms of the complexity of the fully integrated and automated system and the variety of innovative solutions incorporated into each machine. Identification of axles and loading unit. Machines: end milling machine, horizontal lathe (roughing & finishing), rolling & grinding machine. Ultrasonic & magnetic particle inspection. Robotic axle handling & tool changing system. We have maintained a smooth, positive relationship with DANOBAT at all times. The multicultural, multilingual mixed working teams set up responded well to all the challenges posed. We have all been working towards the same goal, tackling the problems posed by such a complex line together. DANOBAT has created for LUCCHINI RS a new automatic line for machining and testing railway axles, mainly for high-speed trains. This investment forms part of a long-term plan for renovation of the Lovere plant, geared to innovation of products and processes that are essential for maintaining international leadership. The project was completed in record time, with the line beginning fullcapacity production just 18 months from DANOBAT’s receipt of the order to manufacture it. This production line was supplied as a “turnkey facility”, with DANOBAT supplying all the equipment (some of its own and some produced by other specialist companies) and installing and starting up the entire line for full-scale production to begin. The work was done by DANOBAT in coordination with a project team specially formed by LUCCHINI RS and including the company’s most experienced engineers. The line is undoubtedly the most advanced in the world for manufacture of railway axles, both for the complexity of its system, totally integrated and automated, and for the variety of innovative solutions on each individual machine making it up. 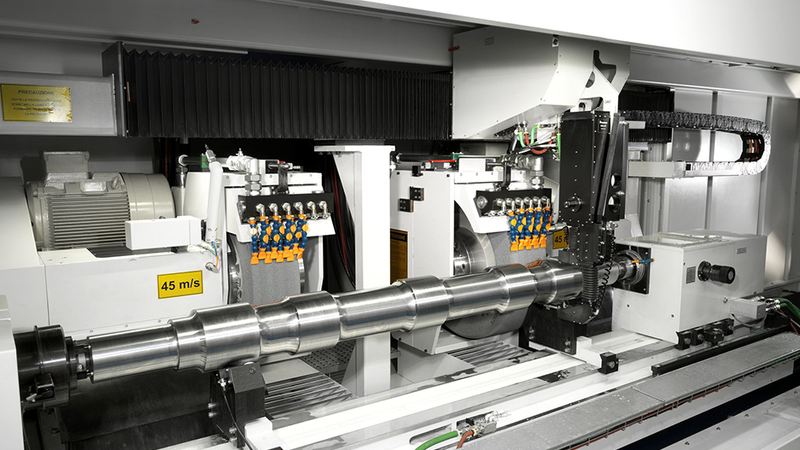 The installation consists of an axle identification and loading unit, an end milling machine, roughing and finishing lathes, a grinding machine, ultrasonic and magnetic particle inspection equipment, a robotised system for axle handling and tool change and a sophisticated line control system. 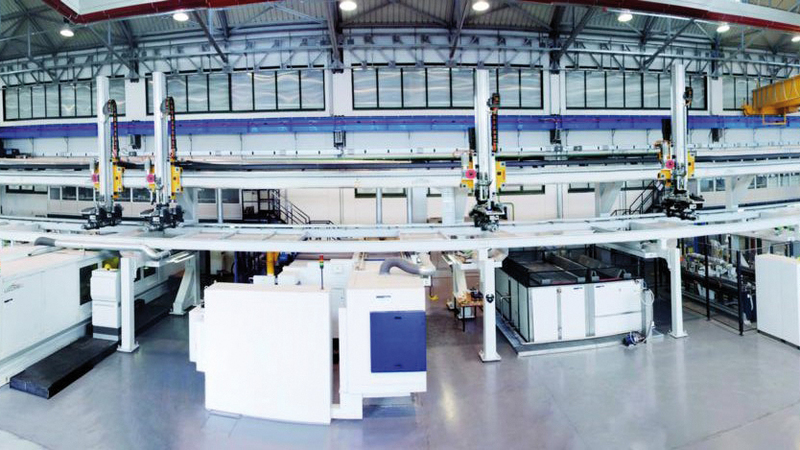 The line has a production capacity of approximately 15000 finished and inspected axles per year, and several different types of axles from the LUCCHINI RS catalogue can be processed automatically. Why did LUCCHINI RS choose DANOBAT as its partner for such a complex and important project? 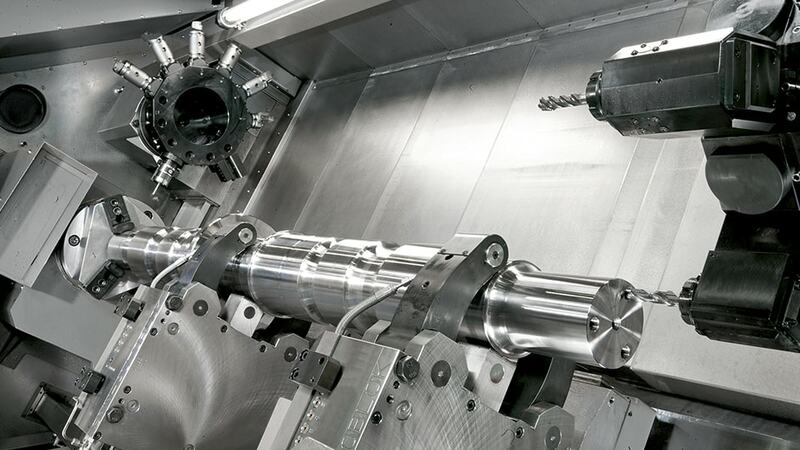 Setting up an automatic line for high-speed train axle manufacturing is an extremely complex project, and LUCCHINI RS wished to work with a partner with experience in the sector who would adapt to our needs and be able to offer us a turnkey project ensuring the high precision and quality required for high-speed train axles. DANOBAT met all those requirements. What are the main advantages of this custom-made production line? It has numerous advantages: less workers are needed and there is no manual handling involved, which increases worker safety, production times are shorter, there is less waste produced and it has lower dimensional tolerances that improve considerably the final product and reduce manufacturing costs. Moreover, WIP inventory was significantly reduced and the throughput time was drastically shortened.